The unit keeps powering down. No explanation. Turn it on and it powers down, keep repeating this and eventually it will stay on..... So annoying.. Why? All problems on this page have been submitted and answered by users. 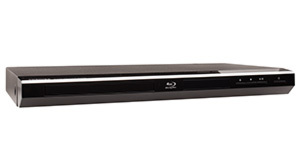 If you have a problem with the Samsung BD-C8900 500GB, please submit it below and we'll post it here. Problem: The unit keeps powering down. No explanation. Turn it on and it powers down, keep repeating this and eventually it will stay on..... So annoying.. Why?